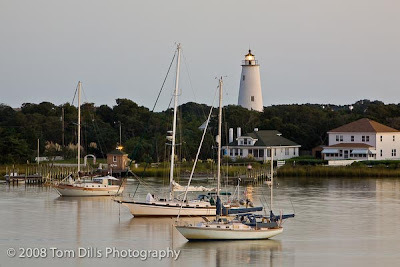 We had been anxiously awaiting our return to Ocracoke Island, having only been there for part of a day back in 2005. Our memory of the place as being a photo-rich environment was quite accurate, as I filled a couple of 4 Gig cards during our stay. I had been hoping to get a different-than-the-picture-postcard shot of the Ocracoke Island Lighthouse, and I think I have it with this one. I shot this just after sunset from the 4th floor balcony of our motel, The Anchorage Inn. 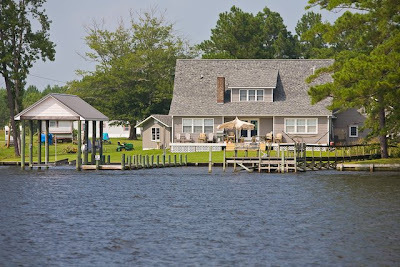 We spent Sunday afternoon with our friends and innkeepers Andy & Karen Fisher touring the waters of the Pungo River and Pantego Creek aboard their boat, a 32 foot Nordic Tug. Andy sells real estate in the area, while Karen manages the inn. Andy happened to mention that he needed a water view photo of one of his listings, and I just happened to know a photographer. I’d say it was probably fair trade for a couple of hours on the boat! We’ve had a great trip so far. We spent Saturday touring the backroads around the Pocosin Lakes area and Lake Mattamuskeet. We just happened to be near Engelhard, on the east side of Lake Mattamuskeet late in the afternoon. I spotted this scene along the way and got a couple shots before the great light went away. 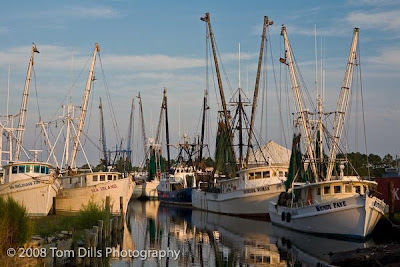 Friday we depart on our much-anticipated adventure to the North Carolina coast. Three nights in Belhaven, three nights on Ocracoke Island then three nights in Beaufort. Got some good advice on photo spots from our good buddy Kevin Adams and are looking forward to a great trip. I spent some time this weekend going through some images from last year’s trip. 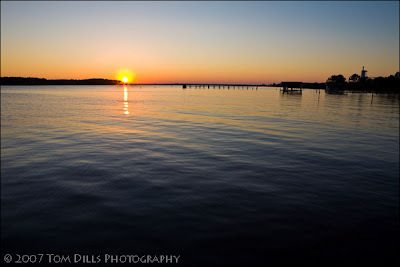 This was one of a number of images I made of sunset over the Pantego Creek in Belhaven. 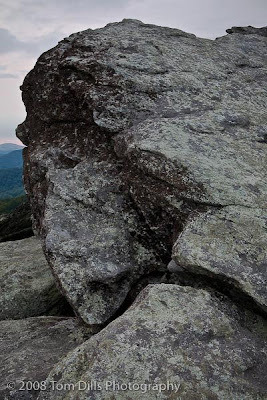 We visited Grandfather Mountain this weekend for their annual Camera Clinic. Founded by Hugh Morton in 1952, this annual event is focused on photojournalism. After Saturday evening’s presentations we had a chance to head out on the mountain for sunset. While I was waiting to see what kind of show we might have I made this image of a rock formation I found interesting. Kathy says it looks like a Bison head. I agree! I think this image may have possibilities in Black & White. I may have to give it a try. 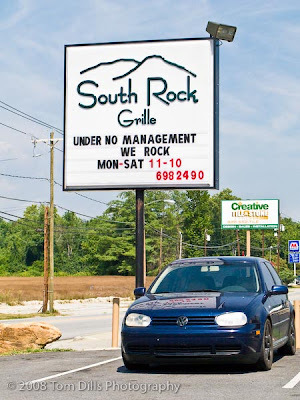 Better Than The Old Management? Kathy and I spent this past weekend in Hendersonville, North Carolina shooting an assignment for WNC Magazine. I am always on the lookout for interesting signs, and we came across this one that we found amusing. As we travel Kathy & like to hunt down old train stations. I’ve always liked them for the architecture, and since they are usually found in an older section of town, they sometimes anchor a redevelopment effort and are often restored. I’ve been going through my collection of train station images for an upcoming magazine submission and came across some old favorites. 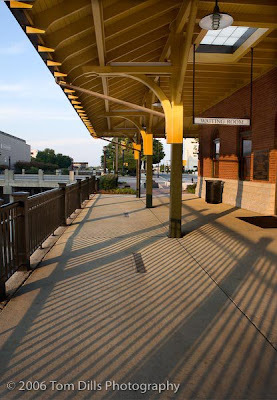 One of my all-time favorite train stations is the one in High Point, North Carolina. This also happens to be one of my all-time favorite photos. I just finished adding a “Train Stations” gallery and updated my “North Carolina Towns” gallery on my website. Check it out! A photography group I belong to was having a discussion about whether an image should be evaluated as an individual image or part of a series based on a theme or common thread of artistic intent. The following is an essay I wrote on the subject after evaluating my own thoughts and feelings. Enjoy! As one of Joe’s Disciples I have struggled with what I have found to be one of the fundamental traits of an artist, which is that of “vision” or “artistic intent.” I deeply sympathize with those who have weighed in on the subject in this group, having myself looked long and hard for the clues that would lead me down the path of creativity. I still don’t think I am on the path, but I’ve found the trailhead, and even though my car’s in the parking lot and I’m just gathering my gear, the trail lies long and uncertain ahead of me in the woods. My understanding of the subject is very basic and not nearly as developed as I’d like, but I would like to try to share part of my experience. 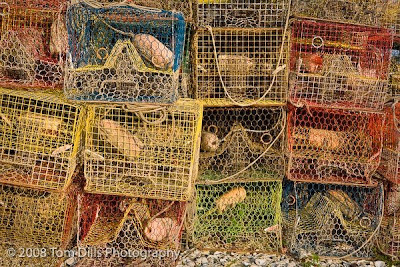 A poignant example of this is a series of images on Photoeye by Kevin O’Connell titled Chords. It is an edition of 15 gelatin-silver prints of a single light pole in eastern Colorado. O’Connell’s statement says that “The series evolved out of the landscape work I’ve been doing on the eastern plains of Colorado since the mid-90’s, and was at least partially inspired by Barnett Newman. While my landscapes have been a study of the horizontal, occasionally influenced or marked by the vertical, the Chord series explores the vertical, human, element.” My reaction when I first saw these images a year or so ago was “WHAT, how can they call ! @#$% pictures of a lamp post ART?” The fact that the prints are offered for sale for prices ranging from $750 – $2000 only fueled my consternation. That they are still offered for sale a year or so later gives me some consolation. If Kevin O’Connell came to Second Tuesday and brought in just one picture of a light pole, and presented it as “isn’t this a cool light pole?” we’d politely stand around and look at it until someone asked “so what does this represent?” or “why a picture of a light pole?” If we were able to see the whole group and understand the background and intent we might still ask “why pictures of a light pole?” but we could evaluate it for what it is. O’Connell, by the way, is far more than just some dude with a camera. He is a respected artist, has had a number of books and exhibitions, and had some of his work published in Lenswork in 2002. My own “Aha Moment” came at a meeting where I showed a group of my images and someone (thank you, Kate) used the term Magic Moment to describe a number of them. I was able to look back through my work and found a number of images that seemed to fit that theme. While it was not necessarily what I had in mind when I made the pictures, it was clearly a common thread in a lot of my work and I was able to group some of them together for a personal project and used them to make a calendar. For anyone interested you can see them here: http://tomdills.com/2007_calendar/ . Some of them work better than others, but in the context of trying to stay seasonal with a calendar and limited to landscape orientation, I think it works. It’s an admittedly elementary interpretation of the concept, but I am proud of the result and see it in some respects as my first Portfolio. It works for me and accomplishes what I set out to achieve. I’m currently on a “reflections” kick and that theme has been recurring lately in my work. I look forward to seeing where that leads me. About a year ago I participated in a workshop where several well-known and respected nature photographers offered critiques of participants’ work. Each participant was allowed to submit two images, and the presenters took turns offering their opinions on the work. Because they were shown out of context and with no opportunity for narration or background, the comments consisted almost exclusively of how the respective images conformed or didn’t conform to the “rules” of photography. My conclusion was that I had no further interest in participating in such sessions because the comments had little relevance to me, since they did not take into account the reasons I or any of the other participants had made the pictures. I’ve spent a lot of time over the last year or so examining the concepts of artistic intent and creative vision and trying to place my own work within that environment. While it might be easy to conclude that nature photographers in general have no artistic intent, that they are content taking documentary pictures of pretty places, interesting animals and dramatic scenery, I think the themes are there and you just have to find them. For many photographers I think it may be simply a matter of examining your images to determine what made you do what you did. The reason you chose a particular composition, exposure or shutter speed may seem purely intuitive, but once you latch on to a theme or thread, other common elements will begin to reveal themselves. I now find myself looking at a scene in the context of many themes and have determined that the things that draw me to a subject are often as simple as the patterns, textures, reflections and color. Knowing that, I try to approach every subject with the thought of which of those things are present and how I can show the scene in that context. I am also open, although somewhat less successfully, to what other elements may exist that are not on my “list,” and how I might work them into an image. Rather than limiting my vision and the resulting images to a predetermined set of rules, I feel that my vision has been expanded because once I have determined which elements tend to speak to me, I look for them in a scene and use them to guide me. While it may be a place I’ve never visited, or a subject I’ve never encountered, I can look for the elements that I know appeal to me and attempt to figure out how best to capture them in camera. In conclusion, let me say that I consider myself to be an Enlightened Disciple of our Grand Poobah, and the advice and guidance of the group as a whole has allowed me to move from someone who takes albums full of vacation snapshots to someone who takes albums of vacation snapshots with vision. Seriously though, I have found it to be a challenging experience but well worth the effort. I look forward to continuing the journey, just as soon as I make sure I haven’t left my car keys in the trunk. Come along, it will be fun!